About Us | Kevin Allison Presents: RISK! Live Show & Podcast! What Our Fans Say about RISK! Read More Fan Reviews of RISK! If you’re new to RISK! you can download the free podcast for at iTunes. OR look below for a sampling where you can listen to our BEST OF RISK! episodes and some other favorite stories. RISK! All-Star Episodes available for $2.99 at iTunes w/ exclusive stories from Sarah Silverman, Kevin Nealon, Marc Maron, Lisa Lampanelli, Samantha Bee, and more! Tracy’s “Transcendent” from Live From Philly! 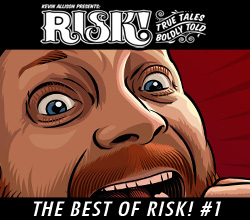 In August of 2009, host Kevin and producer Michelle Walson started the live show RISK!, “where people tell true stories they never thought they’d dare to share in public,” at Arlene’s Grocery on the Lower East Side of Manhattan. It was an instant hit. Stories ran the gamut from the sacred to the profane, the hilarious to the horrific – and for the audience, it was a chance to reconnect with the things that make us human. It’s still just about the most cathartic, laugh-out-loud, anything-goes kind of smorgasbord you’re likely to see anywhere. The monthly RISK! live show, winner of an ECNY Award for Best Variety Show, now lives at The Bell House in Brooklyn and the Bootleg Theater in LA. RISK! also tours to sold out international crowds. Many remarkable people have shown a side of themselves on RISK! that you probably haven’t seen elsewhere, like Michael Ian Black, Janeane Garofalo, R. Ben Garant, Lisa Lampanelli, Kevin Nealon, Margaret Cho, Marc Maron, Sarah Silverman, Michael Showalter, Maria Bamford, Nick Swardson, Lili Taylor, Adam McKay, Rachel Dratch, Andy Borowitz, Kerri Kenney-Silver, Joe LoTruglio, and more. 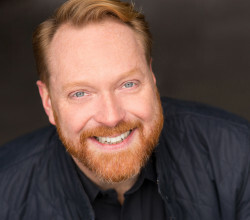 The audio podcast of RISK!, also hosted by Kevin Allison, premiered online in October of 2009. The podcast includes not just the best stories from the live shows but also “radio-style” stories and interstitial music and comedy from artists all over the world. Most episodes of the show are free and easy to download from iTunes and other sources. With new episodes released each Monday, the RISK! podcast is the winner of an ECNY Award for Best Podcast, and has been downloaded tens of millions of times to date. In 2010 and 2011, Chris Castiglione, Jeff Barr and JC Cassis joined RISK! as producers and co-founders. With the new team in place, the RISK! podcast went from being a bi-monthly podcast to a weekly podcast. Meanwhile, the RISK! live show went bi-coastal with live performances in Hollywood hosted by Beowulf Jones. In 2011, Kevin, JC and Chris Castiglione created The Story Studio, at www.thestorystudio.org, a school dedicated to teaching people from all walks of life to turn their most meaningful experiences into powerful self-expression. “Anybody will benefit from this training,” Kevin says. “We always say that, from the bar to the boardroom, a good story well told is what leaves a lasting impression.” New workshops through The Story Studio start each month and corporate workshops can be custom-tailored to a company’s needs.